Paphos occupies a small strip of coast on the western shoreline of Cyprus, facing the North African landmass. The nearest mainland country to Cyprus is Lebanon, whilst the nearest large island is Crete, Greece. The city itself is the capital of the Paphos District, a region encompassing much of the western tip of the island. Konia Park 2 comprises of 16 detached villas which are set in the prestigious suburb of Konia, offering residence admirable countryside views. Oasis Park is an elegant Mediterranean development comprising of contemporary apartments and houses, which are surrounded by beautiful landscaped grounds. Minthis Hills is an extraordinary resort which offers residence breath-taking picturesque views, bringing a new dimension to Mediterranean living. Set within a picturesque valley of Minthis Hills, The Plateau is surrounded by vineyards and orchards, overlooking an unspoilt panorama of hills and the Mediterranean Sea. 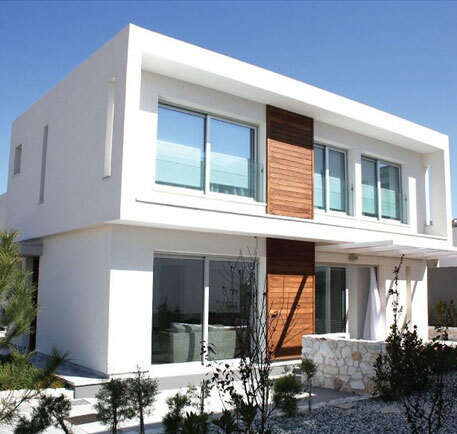 Comprising of 40, one, two and three bed houses, Prodromi Gardens is located within one of the most beautiful and up and coming areas in Cyprus. Peyia Chorio 2 is situated within the countryside of Peyia, offers a total of 40 one, two and three bed apartments and townhouses. A unique blend of ancient traditions and modern day culture, Paphos appeals to a wide audience of visitors from around the world. In recent years, a large number of expatriates have chosen to buy property for sale in Paphos, attracted by the superb weather and beautiful beaches which undoubtedly characterise this stunning city. An eight month long summer and the most stable and bearable temperatures on the island ensure that the population of Paphos stays higher than the census indicates for a large proportion of the year. With glorious weather and a long and interesting history, it's easy to see why there is such a demand for property for sale in Paphos, whether it's people looking for a holiday home or to relocate. Why Invest in Property for Sale in Paphos? Paphos is one of the most popular tourist resorts on the island of Cyprus in the Mediterranean. 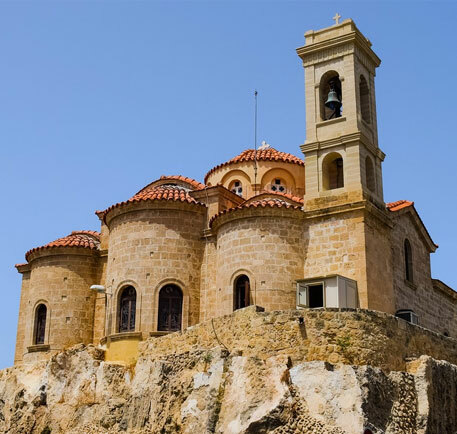 Historically part of Greece, the island can boast a combination of Lebanese, Syrian, Turkish and Greek culture – part of the reason behind the success of Cyprus as a tourist destination. Paphos was traditionally split into Old Paphos and New Paphos – with Old Paphos now becoming the town of Kouklia and New Paphos becoming simply Paphos. Cyprus is home to a permanent population of approximately 1,000,000 people, a number which can vary drastically during the summer and tourist season. The population of Paphos as a city makes up a relatively small proportion of the island’s population – at just more than 30,000. Including the outlying suburbs, that number grows to around 65,000 people whilst the wider Paphos district encompasses almost 90,000 people. For more information on any of our properties for sale in Paphos, contact Hopwood House today. The city experienced a surge of wealth and popularity during the early 1970s – with both the Cyprian government and foreign investors pouring money into properties for sale in Paphos and transforming it into a sought after resort. The trend has continued throughout the decades since the expansion is still evident around Paphos. Paphos is almost entirely dependent upon the tourism and fishing trade, with the climate and landmarks the main attractions. Integral to its survival as a resort, landmarks have been meticulously preserved and resorts are kept clean and tidy to attract tourists. Some of the more popular landmarks include the Byzantine Paphos Castle and the infamous catacombs. The city itself has been listed as an UNESCO World Cultural Heritage, whilst it has also been voted as the European Capital of Culture for 2017. As Paphos is mainly dependant on tourism, major developments have started to appear in order to keep up with the amount of visitors Paphos receives. Some of these include the road infrastructure, hotels and Paphos airport which now operates regular international flights, other developments include investments into the area to further improve tourist attractions and centres. The property market across Cyprus has seen a big increase in sales and interest, particularly in Paphos which has seen a huge 33% increase in residential property from foreign buyers, particularly those from China, Russia and the Middle East, who want to watch the sunset from their luxury villa with the satisfaction they’re living in one of the safest locations on the island. Depending on where you want to live within Paphos you can find some fantastic properties and even better views. Although villas have recently been top of the list for those buying property for sale in Paphos, there are many alternatives such as townhouses, which provide residents with enough living space and still room for a terrace or roof top area. Apartments are also a popular choice of property as they include swimming pools and gardens which are shared among residents and give people the best of a townhouse and a luxury hotel. Those looking to retire in Paphos may prefer a bungalow as they’re a popular choice for retirees and many bungalows in Paphos include a private swimming pool. Residents who want a challenge when they move to Paphos can find many farmhouses that require renovation and refurbishment and could prove to be more cost effective compared to other property types. 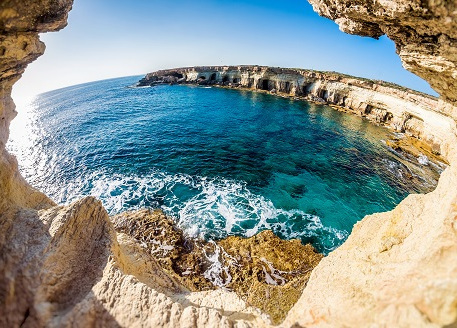 Paphos is around 150km away (90 mins by road) from Nicosia, the main city of Cyprus – a distance made more pronounced due to the rocky interior of the island. 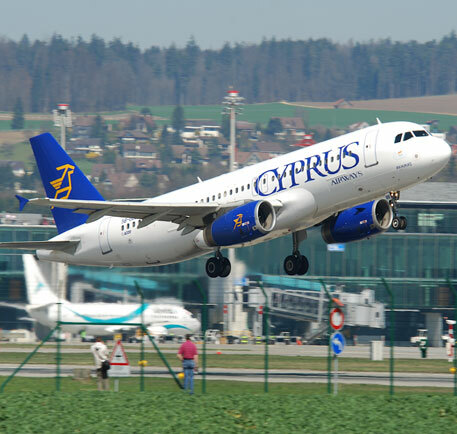 Paphos International Airport is the second largest of its kind on Cyprus – catering to most of the western resorts and responsible for almost 2,000,000 passengers. As Paphos continues to become popular with tourists, traffic is naturally expected, however there was a time where Paphos had very little traffic and so many roads are narrow. This issue has been improved by developments such as the motorway which connect Paphos to Limassol. Public transport in Paphos can be tricky, buses don’t have set times, so having patience is a must if you want to travel by public transport but they will connect you to popular nearby towns such as Coral Bay Resort. If you want a more scenic route, many will advise on renting a car, so you can have the best experience of what Paphos has to offer without waiting around. For many, Paphos is the birthplace of the Greek Goddess of love, Aphrodite and the towns’ rich history has been carried forward as Paphos stands as a UNESCO world heritage site and in 2017 it was the ‘Capital of Culture’. Overseas buyers and retirees looking to escape the UK can experience a new way of living in Paphos. The culture in Paphos is rooted deeply by the beliefs of the people who live there. Art galleries and museums will tell you of how Paphos was once ruled by roman empires and how that has transformed the town into a spectacular show of history but also how the area has moved into the future for its ever-growing number of tourists. Q. Is it easy to buy property in Cyprus? A. The process to buy property in Cyprus is simple. Cypriot property law is based on English law, with a relatively short terms of sale contract. Q. Can EU citizens buy property in Cyprus without restrictions? A. Yes, EU citizens can buy property in Cyprus without any restrictions. Q. Can non-EU citizens buy property in Cyprus? A. Yes, although you will need to get permission from the Council of Ministers. The process is simple and the Cypriot government actually encourages overseas investment. Q. How can I get permanent residency in Cyprus? A. Permanent residency requires a property investment of €300,000 to gain the Cyprus residency permit and is generally granted within two months. Q. What is the citizenship by investment programme? A. Cyprus offers a quick route to European citizenship and a second passport in just six months through an investment of €2 million. Q. Can I get a mortgage? A. Your residency impacts what deposit you'll need. Cyprus residents are eligible for an 80% mortgage, while EU residents will require a 20-40% deposit and non-EU residents will require a 30-40% deposit. Q. Are there any tax advantages to living in Cyprus? A. UK citizens have been known to save up to 70% off the income tax bill as long as your worldwide income is disclosed in Cyprus.